This is a social good post on behalf of the AdCouncil. This blog was not compensated for this posting. Are you ready for Christmas? Just kidding. Or maybe not? Some people are wonderful at organizing, list creating, and shopping throughout the year. Others still haven’t started – and may not start for another few weeks! We love you either way. I promise. So, if you haven’t started shopping, or still have some left to do – I have the perfect place for you to start – or finish. Goodwill. Yes, you heard me right. Goodwill has a huge selection of gently used items that would be perfectly suited to your new repurposing project, white elephant Christmas gift, books, movies – you name it! All while keeping yourself on a thrifty budget. From furniture, picture frames, fabrics, accessories and even collectibles, they are sure to have something you are looking for! A stroll around your local store might even give you a little bit of that inspiration you need to clean out your own closets and find new fun things for yourself. No matter where you are in your Christmas shopping, or life in general, one major reality is that there are people with disabilities and disadvantages directly in your community who need assistance. Many of them need career counseling, on-the-job training, résumé preparation, financial planning classes, and other services. And YOU can help them easier than you may realize. 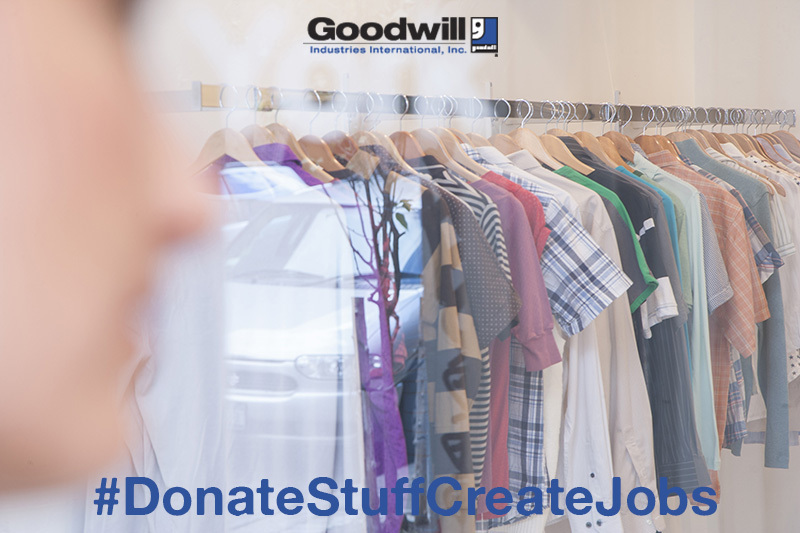 Goodwill sells donated goods through more than 3,200 stores across the United States and Canada, and channels more than 85 percent of sales revenue to provide those services to people who are unemployed or underemployed. They also provide on the job training and help those who need it find jobs to better their lives. How many of you do your shopping online? Probably at least 80% of us, right? 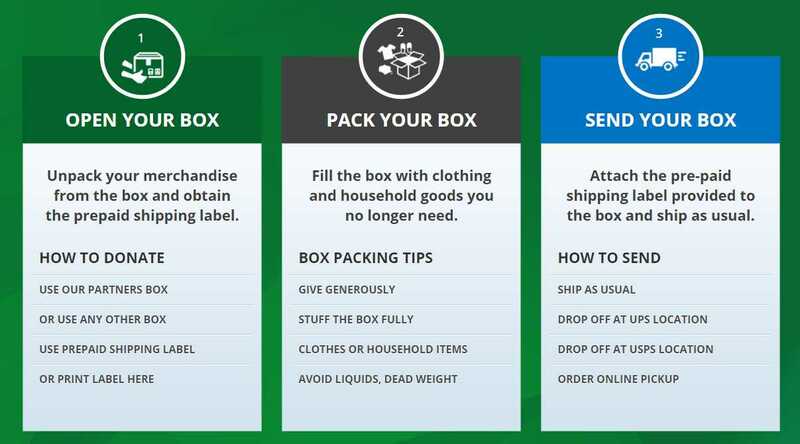 When you shop online this holiday season, many major retailers will send your purchase in a Give Back Box, which will enable you to donate items to your local Goodwill at no cost to you! How easy is that, seriously? It is much easier than you think to make a difference! Give Back Box® provides vendor services to retailers and charities, allowing each and every cardboard box a second life to help people in need. So it is also a ‘green’ solution! Reuse your online shipping boxes in which you received your purchases, or any other cardboard box you may have, to donate your unwanted household items: such as gently used clothing, shoes etc., to make a major difference in the life of another person. This program gives every cardboard box a second life to help people in need. Some of the international partners in support of the Give Back Box are Ann Inc, Asics, Ann Taylor Loft, Overstock, Dockers, Levis, Bon Ton and StyleUpGirl.com. These retailers are leading the way towards finding innovative solutions to widespread social and economic issues. You can see all of the participating retailers at givebackbox.com. So, get up and get started now! People are counting on your shopping and your donations.